Forever Fifi t-shirts & Twitter goes for the gold! Miles of macaroons from Laduree have local competition at Whole Foods in West Hartford. MA CHERIE, COOKIE... 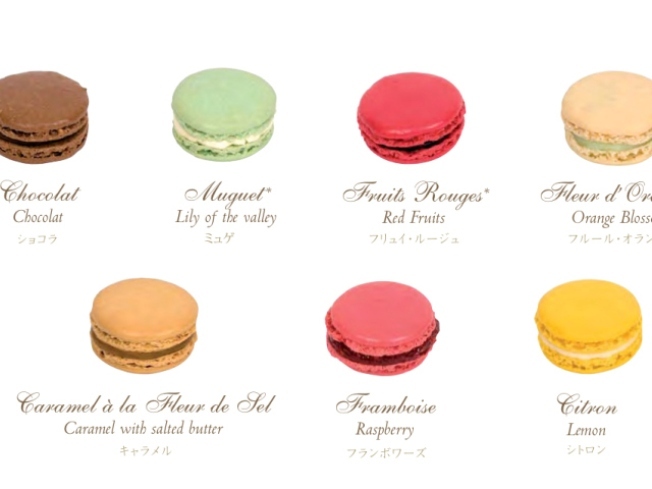 Le Macaron Ladurée might be a delicate sandwich cookie mecca, but all our frequent flyer miles for the year aren't working in our favor. Lucky for us, Whole Foods Market in West Hartford has introduced these delectable delights into their bakery just in time to subside our cravings. Raspberry jam and ganache are our fillings of choice, but we prefer the four color scheme of all their offerings, since then they look even more like a delish smorgasbord of sandwich cookie goodness. Cookies are priced at a penny-pinching $0.89, but call ahead to be sure your favorite flavor is in stock. DO THE BUNNY HOP... Fifi Lapin is the hippest little bunny in the fashion set, spotted and sketched, wearing the designer duds we can only dream about. She made an appearance last spring on LeSportSac totes and backpacks, but this time she's lending her looks out to Forever 21 for the cutest cotton we've ever seen. At only a minuscule fraction (all tops ring in under $20) of any piece of her wardrobe, Fifi strikes a pose for raglans and tee's for instant adora-chic appeal.